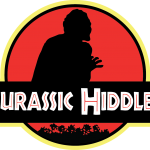 find Loser” src=”http://tomhiddleston.nthmost.com/wp-content/uploads/2013/01/Loki-get-in-loser.jpg” width=”222″ height=”332″ /> Why did I make a Tom Hiddleston streaming radio station? Part tribute to a great actor and part excuse to dork around with streaming radio manipulation, when I discovered that Tom Hiddleston posts a Song of the Day to his Twitter feed every once in a while, I realized there was a fun opportunity to create an automated yet curated audio experience. 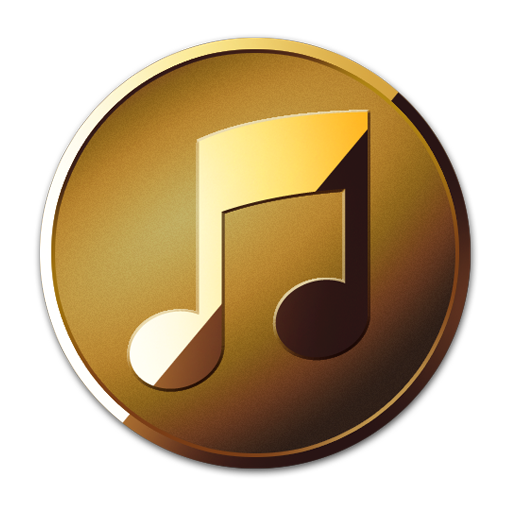 The premise of the station is simple: like a “real” radio station, I play 3 or 4 songs (usually 3 — Tom seems to like long epic songs) and then about 60 to 120 seconds of talk. The song list comes from a script I wrote to parse out his Song of the Day from his twitter feed. I have to actually find the song and upload it to the song database (that part’s not automatic), and in some cases I’ve had to scrape YouTube for a track that seems to be impossible to find from a CD. As for the interviews and readings, those come from YouTube submissions (I use the Linux based youtube-dl utility to grab the flv, then VLC to convert to mp3, and then finally Audacity to edit and normalize) and whatever podcasts and audio recordings I can find. 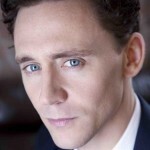 The poetry readings all come from an iPad app, strangely enough, called iF Poems, where Tom Hiddleston lent his voice to a number of famous items by Yates, Shakespeare, Eliot, Milne, and others. 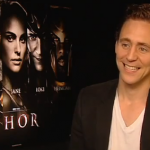 Wait, no, really: why does Radio Loki exist? It’s a labor of love, of course. 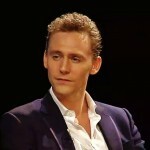 Chalk me up as Yet Another Loki Fangirl, I suppose, but I was content to sort of sigh through those wicked smiles of his in the Avengers movie and have done with it… until I chanced upon a poetry reading by Tom Hiddleston. The care and the lavish attention he spoils on every word uttered awakens me to a long-lost appreciation for vocal nuance, aesthetic appreciation I thought I no longer cared for. Hiddleston’s smooth baritone, soft but so clear, embodies great kindness, gratitude, optimism, and sheer presence of being. Every interview, film, and reading he does, he brings such genuine character that you can’t help but wonder whether he’s simply playing host to a series of angels and demons. …or he’s just an incredible actor. 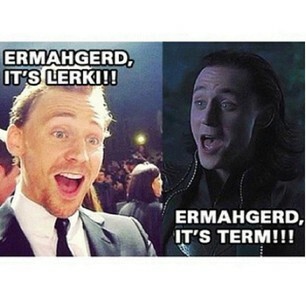 (Loki’d!) 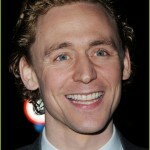 Either way, Tom Hiddleston gets my incredibly rare adulation. I was doing some research on the science of women’s voices and how they are perceived, after some great conversations with my mom (a vocal coach) in which I realized that I could stand to improve my own voice. I do radio shows and podcasts from time to time, and I do want to have a voice that people want to listen to. Many people, men and women both, say they like my voice, but I know there’s plenty of room for improvement. 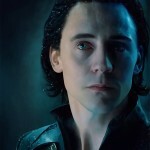 Loki is pale with shoulder length dark brown hair and always looks ominous. When Tom came into our room in the Penthouse of the Trump Soho hotel, I could see right away he was the total opposite of his character! 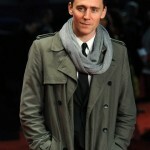 He was warm, funny and incredibly charming plus extremely handsome. He has these amazing blue eyes that light up when he is talking. 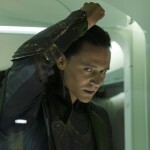 His hair is nothing like Loki’s! It’s actually more of a reddish brown. 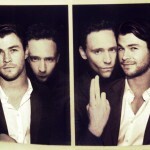 So for me, Loki hits a lot of “ermagerd” notes that Hiddleston doesn’t: dark features, pale skin, and of course, the Loki Feels. 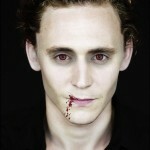 In other words, I’m infatuated with an invented cross-section of Tom Hiddleston that’s somewhat removed from real. They are all from the Song of the Day, and yes, I try to add them when I can. They’re not all in there right now, though. A lot of them are too long and soundtrack-y to make a good station, I find. The spoken clips are also cycled through. I don’t have very many of them in there. I could add some more if you made a clip and sent it to me! Thanks for listening, love to know what people think. This is my current favorite thing! Thank you for creating this!